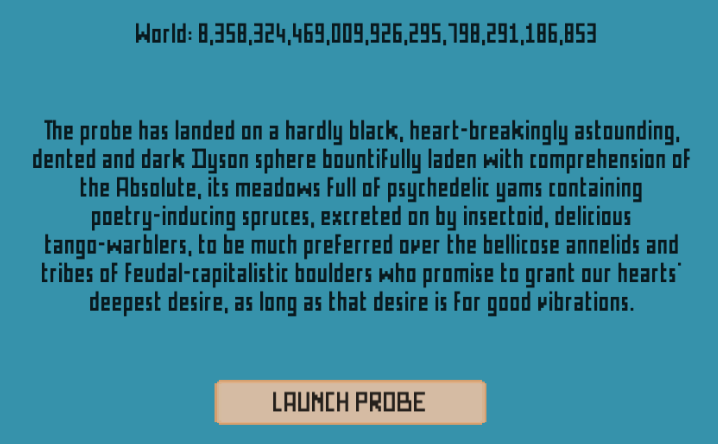 18 Quintillion - the Quest for Hype. 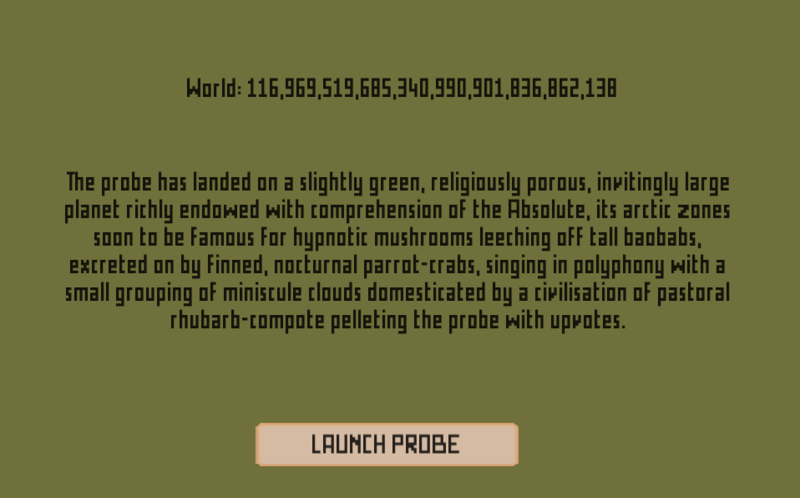 18 Quintillion times the fun! 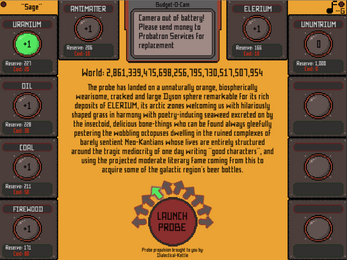 Galactic exploration for the discerning traveler on a budget! 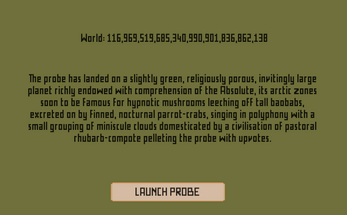 TIME your launch carefully to send the probe to the nearest known world with the desired Resource. 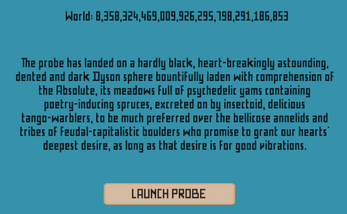 Follow the probe's text analyses to see which worlds to visit to find ingredients for Hype, so that you can manufacture it indefinitely. 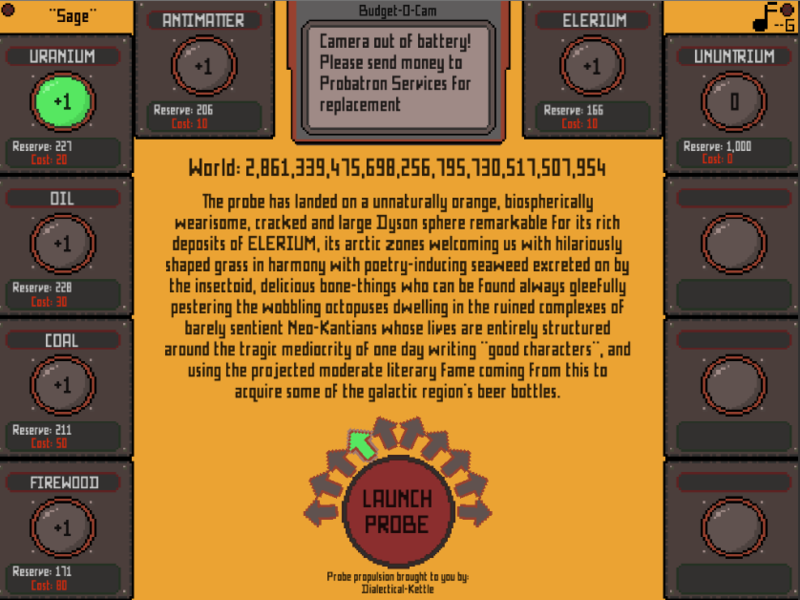 Launch your Probatron-Pro Budget Probe to worlds unknown. Giant Main Quest - the Quest For Hype - Added!